This week it’s my honor to feature M. B. Dahl. 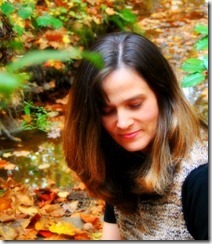 Mary Beth has won several writing awards at Blue Ridge Mountains Christian Writers’ Conference. Her essay, “Little People,” was part of the Life Lessons from Teachers anthology, and her first novel Through the Balustrade was released in May of 2013. She also likes to write dramas for her church. AG: Tell me a bit about yourself, how long you’ve been writing, what types of writing you do, etc. MBD: Writing’s been a part of my life since elementary school. At nine years old, I decided I’d like to be a writer (and a teacher, and a weather girl, and a spy, and a professional baton twirler). However, with my busy schedule of exploring the woods behind my house and teaching all my stuffed animals, I wasn’t able to finish the first great novel by someone under the age of 10. So I got discouraged. At fourteen, I took up writing poetry. Love poems. After writing a heart-wrenching ballad, I decided if I were going to put so much effort into writing, I needed a better reason than some boy breaking my heart, so I made a promise to God that my writing would always be for Him. And then I set my pen aside again. Nothing I was writing seemed to be good enough, so I gave up for a while. But the pen came knocking at my door once more. I was asked to write Sunday school curriculum for grades k-6, several skits and dramas, and a devotional. And then I got an idea, a big idea to write a novel. 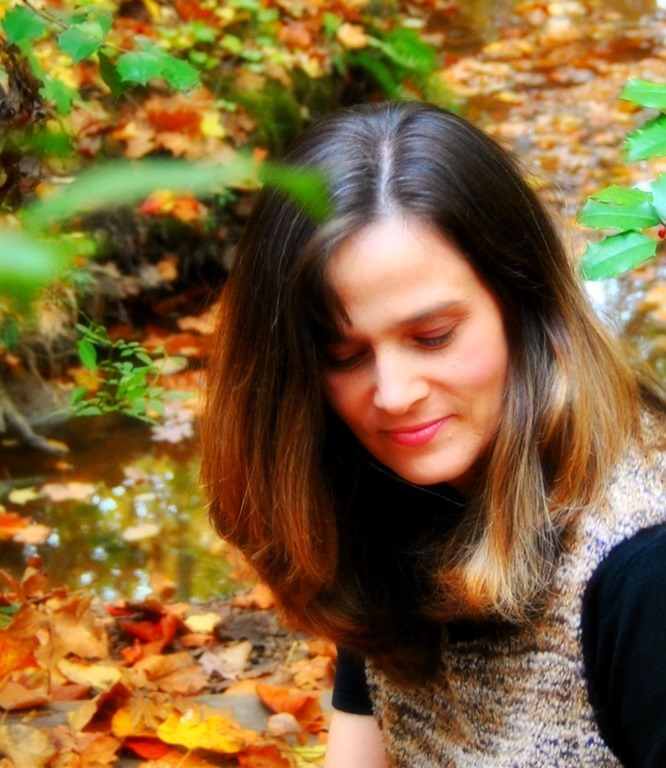 It wasn’t until 2009 and my first writer’s conference (Blue Ridge Mountains Christian Writers Conference) I discovered/decided that this writing thing wasn’t a hobby or a dream, but it was part of who I am, who I was made to be. Looks like that nine year old country girl had it right all along (except for the weather girl, spy, and professional baton twirler part). That puts me here. Writing and thanking God that I get to write for him. AG: Why did you decide to become a writer? MBD: I don’t really think of it as me “deciding to become a writer,” but rather, me understanding that I am a writer. When we were first married, my husband pushed me to find my passion. He was passionate about starting his career, and he figured I needed to be passionate about something, too. But I had nothing. I was a young mother, and all I could think of were diapers and meals and getting some sleep. About fourteen years later, after being encouraged to get my Sunday school curriculum, skits, and dramas published, I decided I’d give it a shot. Now I know what all writers know, stopping isn’t an option. Writing is my offering to God. It’s a part of who I am. AG: What is the one piece of writing advice you wish you’d had at the beginning of your career? MBD: Write whenever you can, even if you only have a few minutes—write! I used to think I had to have chunks of time to write, and those blocks of time never really happened. Now I write whenever I get a chance, even if it’s only for fifteen minutes. It’s something. Talking about writing and thinking about writing and hoping to write are not writing. You’re only a writer if you WRITE. AG: What are you currently working on? MBD: When I started answering this question (which was in the middle of June), I wrote “marketing.” But now, several weeks later, I have a different answer (it relates to your previous question). I’ve been getting so wrapped up in blogging, tweeting, posting, and advertising that I haven’t been writing (unless the blog posts count—which I think they sort of do). But I haven’t progressed very far on my next book or the other one I started a year ago. So currently I’m working on the second book in my Balustrade series. The first book, Through the Balustrade, came out in May, and I already have fans asking for Book 2. I’ve also written another YA novel about a young girl’s attempt to rescue her brother from the grip of a pack of half human, half spirit beings known as Palers. It still needs some editing and TLC, though. MBD: Right now this interview is my number one special project! AG: What do you have coming out next? What do your fans have to look forward to? I suppose the next thing to come out will be a Bible study and Reader’s Group Guide to go with Through the Balustrade. Although Through the Balustrade is a dystopian sci-fi fantasy, there are Biblical truths hidden among the pages, and the Bible study will hopefully help guide readers to a deeper understanding of God, His love for them, and the Christian journey. I’ve also committed myself to offering a vocabulary list for readers who not only want to read a good book, but get ahead on their SAT preparation as well. AG: How can my readers find out more about you and your work?